The entrance to Walnut Canyon is located approximately one- half mile north of the Nature Center, on the east side of the wash, just past an old, broken- down wire fence and a stand of agave on the right. 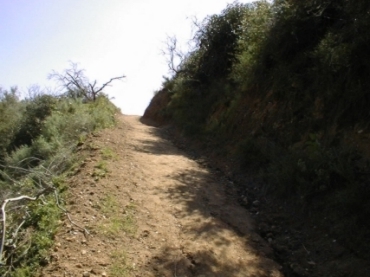 This is the "equestrian trail" notorious for its steep, narrow, dusty, shadeless, winding path. Starting from the access road, it joins the Toll Road nearly a half-mile later. 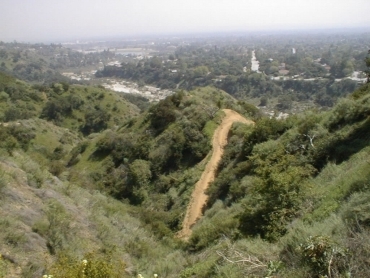 The going gets slightly easier at this point, and you can continue on to Henninger Flats and Mount Wilson.